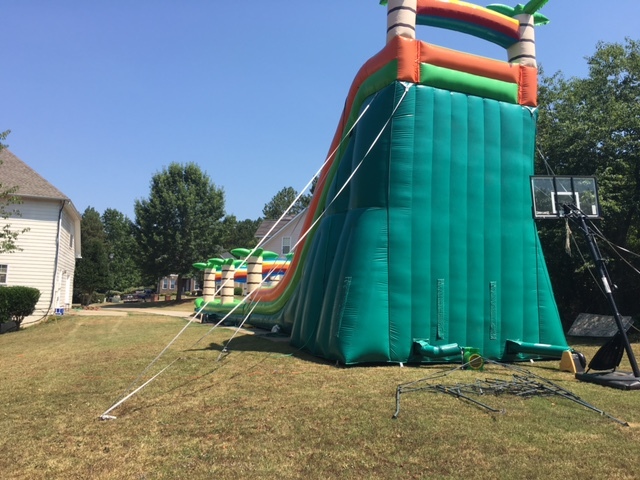 Check out Georgia's LARGEST inflatable waterslide and we have it for rent!!!! If this doesn't Beat the HOT Georgia Heat, I don't know what will! 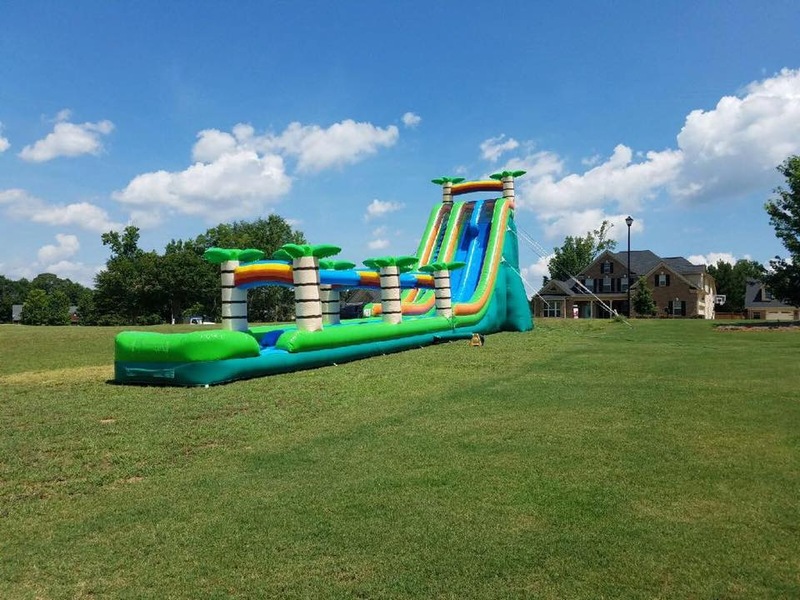 A HUGE 27ft Tall slide that breaks out into a 75ft long slip n slide landing. 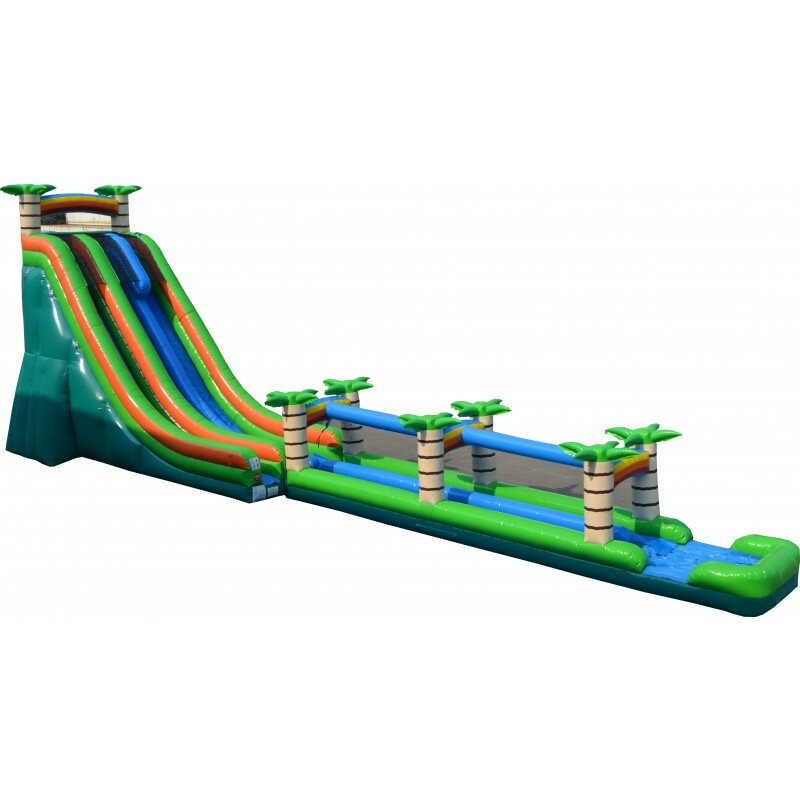 You will definitely be the talk of the town with this at your party. 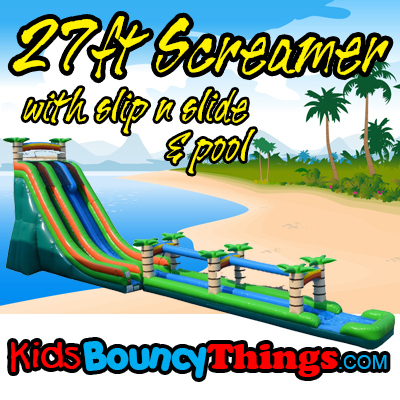 Actual Size: 75 Long x 19 Wide x 27 Tall Requires 3 Blowers and 1 to 2 water hoses.